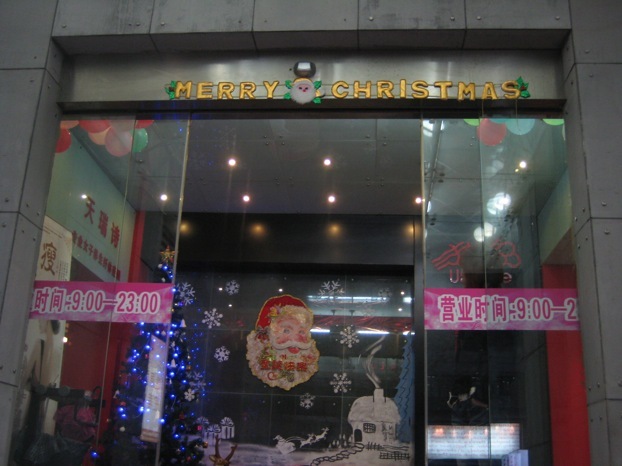 As pastors and priests complain the loss of “Merry Christmas” in New York (that is where I have personally heard the complaints), “Merry Christmas” is alive and well in China. 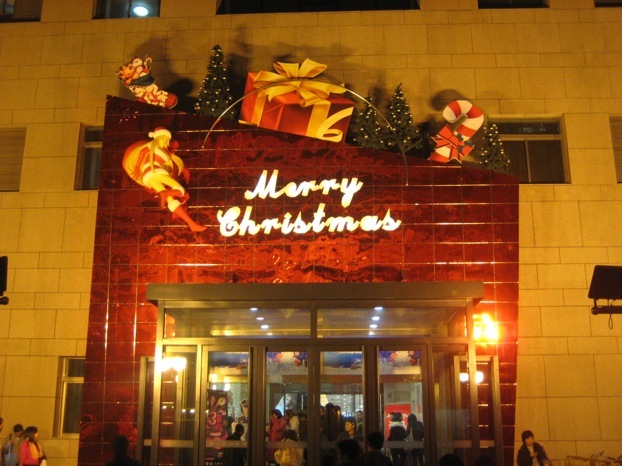 Most Chinese people do not know the religious context of Christmas. For those who celebrate the occasion, it is another excuse to go out to party, just like Valentine’s Day. 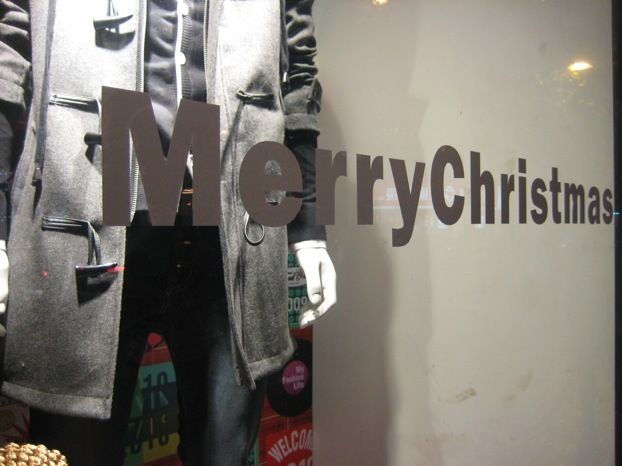 Because Christmas is not thought to be religious, the greeting offends no one – save the few Jewish expats. 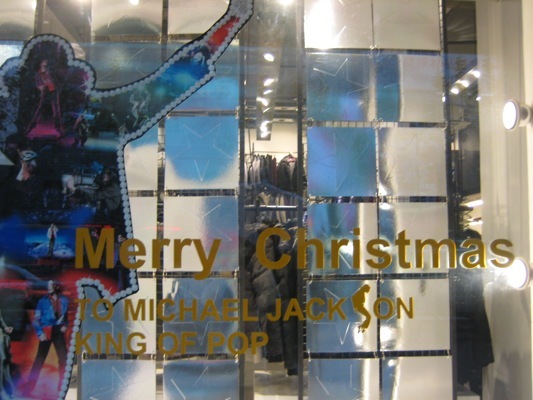 Therefore, it is everywhere: shops, restaurants and malls. 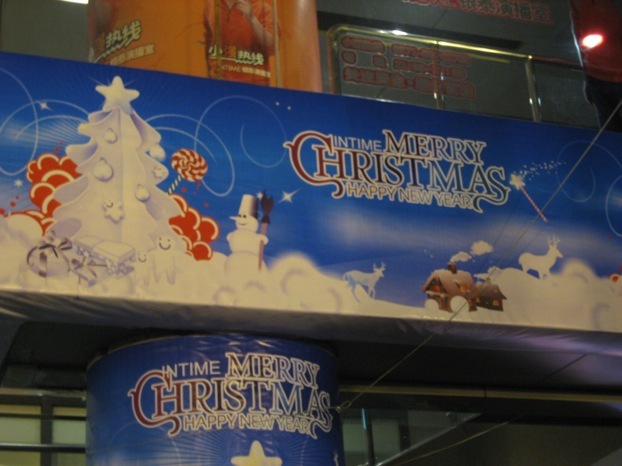 There is nothing politically incorrect in saying “Merry Christmas” in China – must be heaven for those New York pastors! 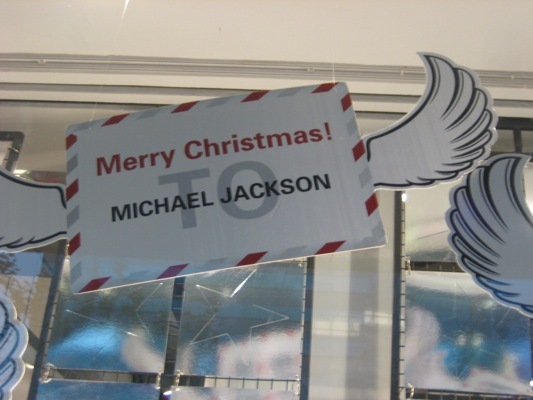 What about “Merry Christmas’ to our beloved Pop King? 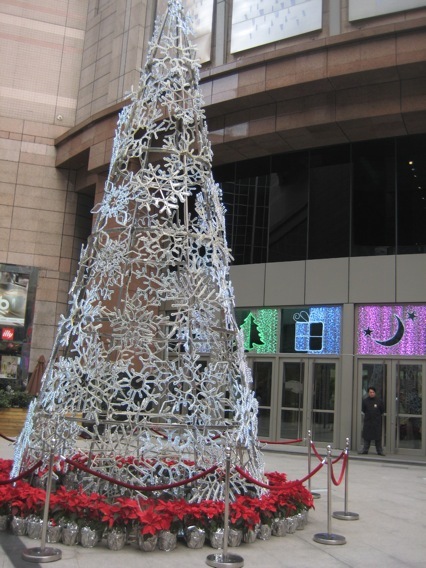 Christmas trees are everywhere too. 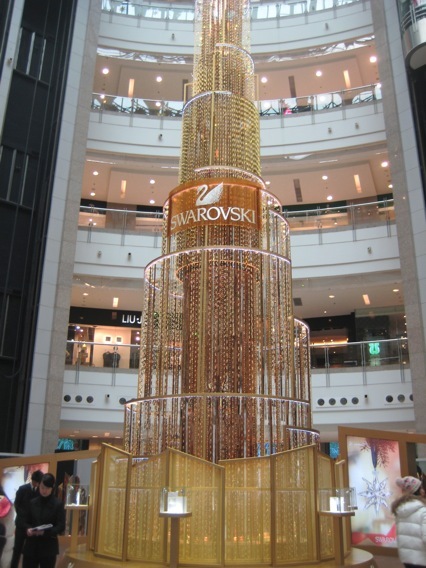 No need to put a menorah next to it! 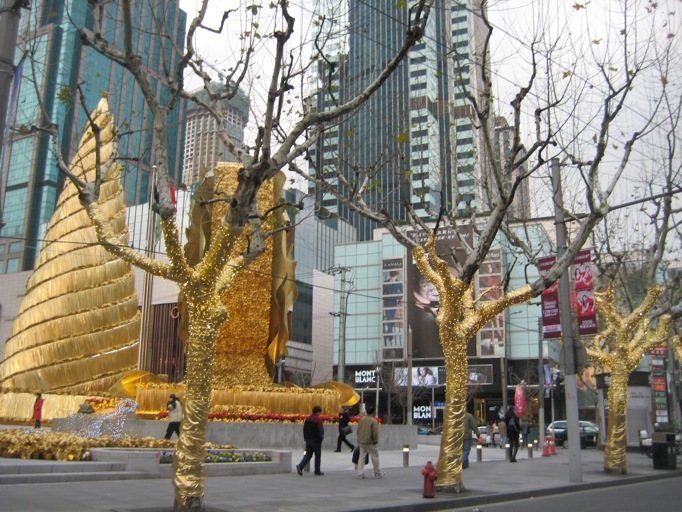 Gold Christmas tree and gold wrapped real trees. 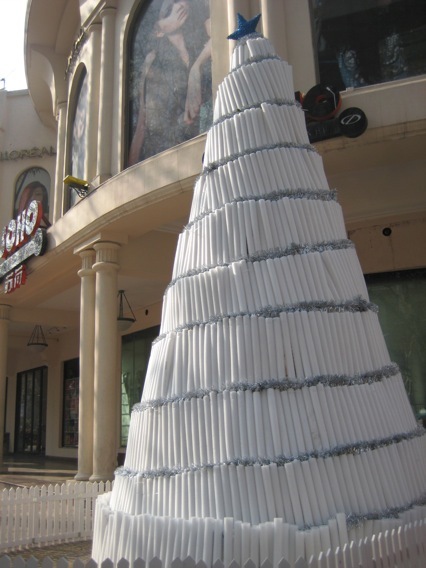 Christmas tree made of foam. 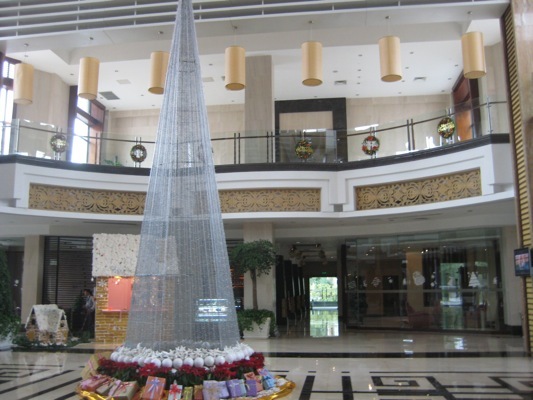 Real Christmas tree (the plant) is rare, and Christmas decorations at homes are not common neither. 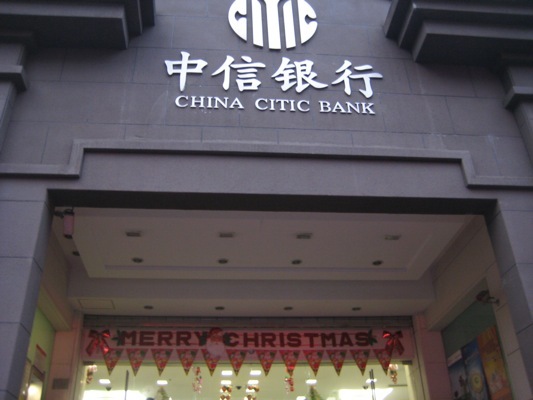 Hopefully, the 1.3 billion Chinese won’t start to cut pine trees any time soon.